If you manage projects it’s important to show how many tasks there are and when they’re due to happen. This helps to explain key events in your project’s life to team members and other stakeholders. 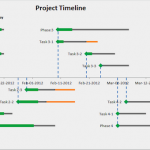 In my experience I’ve seen project managers show project tasks using Gantt charts, but here I offer a compelling alternative – the simple project timeline tool – which you can create in Excel. A project timeline shows how events relate to each other in time. 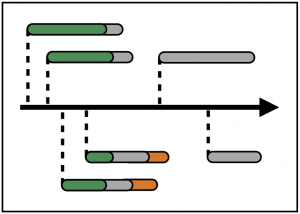 Although timelines don’t look as sophisticated as Gantt charts, they do a really good job at communicating the big picture. 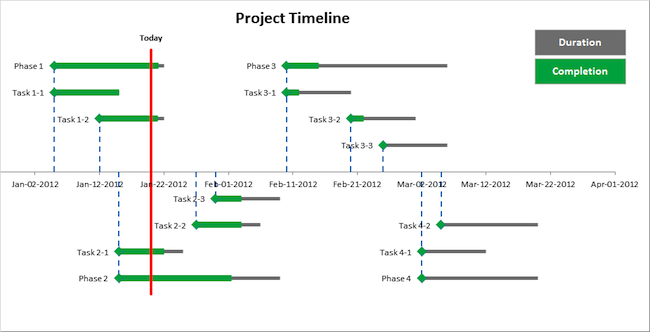 A well crafted project timeline can convey useful information relating to task progress and overall project progress. In this article I’ll show you how to make a timeline in Excel. And if you want to buy a copy you can find the purchase page by clicking here. This is the second part in a series on Project Management using Microsoft Excel. To read the introduction click here. You should also check out the follow-up article “5 bonus ideas that will make your Project Timeline Template even more useful” which you can find by clicking here. 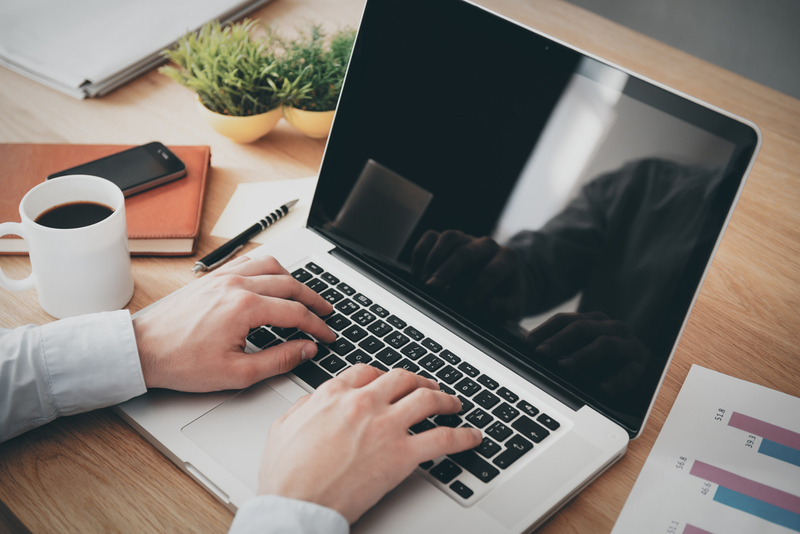 I’ll add more articles in future months so be sure to bookmark this page and come back, or subscribe to my email newsletter to get free updates – you also get a free PDF with over 100 popular Excel shortcuts if you subscribe on this page. We will get to the detailed how-to soon but first you should watch this 6 minute video. It gives an overview of the timeline template. Today line – red vertical line to show where we are today. Duration bars – gray horizontal lines to show how long each task or phase is going to take. Completion bars – green horizontal lines to show how much of each task or phase has been completed, and how much is left to do. If you like what you see in the video above and want to have a copy of your own to play with, buy the template now by clicking here. 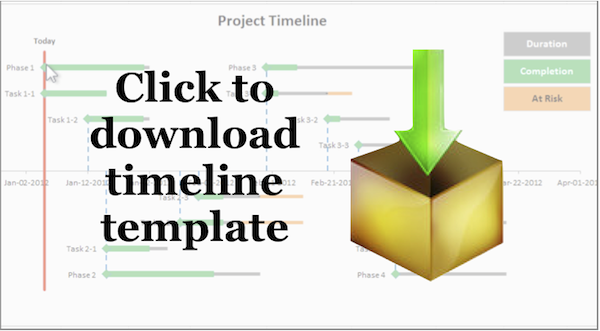 The downloadable template contains the completed timeline, ready for you to use for your own projects. Also included are the two tutorial videos. I created the timeline template with “before” and “after” worksheets for every step in this how-to article, and the worksheets match the sections of this article to make it easier for you to follow along while reading. The instructions in this article are written for Excel 2010 as that is the version of Excel I used to make the template. If you have another version of Excel you should be able to follow along, but I can’t guarantee the steps will be the same. In fact if you try this out with Excel 2003 or Excel 2007, please let me know if it works for you – leave a comment in the comments section below. Thanks! I’d suggest you set aside half an hour to watch my detailed step-by-step video instructions – ideal for watching in a lunch break. If you were doing this from scratch without my step-by-step guide, I would recommend you get a blank piece of paper and sketch an outline of the timeline and keep it in front of you as you create it in Excel. Don’t worry too much about how pretty it is, just get the shape down and remember that it’s for your own reference. Since I’ve already created the timeline, I can show you a screenshot of the finished worksheet. This will help you picture the end result so you have a target to aim for. My finished timeline shows orange “At Risk” bars, which I won’t explain in this post. You’ll need to read my next blog post where I’ll explain how to add these (coming soon). 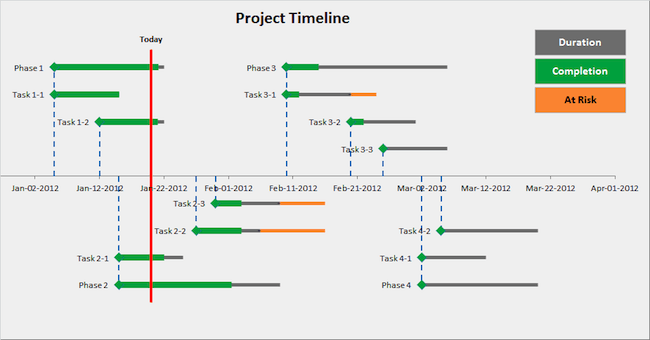 The timeline template has project events laid out as a table in Excel. I split the example project into four phases, and each phase has a certain number of sub-tasks. Phase – Phase 1, Phase 2, Phase 3, Phase 4 or “Today”. This show which phase of the project the event falls under. The rows labelled “Today” are used in step (9) “The Today Line” when we add a vertical line to show where we are today. 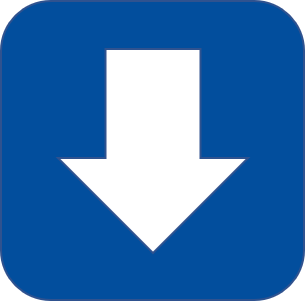 Type – Phase, Task or “Today”. This shows the type of event, whether it is a project phase or a task. The rows labelled “Today” are used in step (9) “The Today Line” when we add a vertical line to show where we are today. Start Date – This is the event’s start date. Event name – This is the name of the event that shows up in the chart data series labels. Duration (days) – This is the duration of the event measured in days. % Complete – Shows the % complete for each task and phase. 0% means the task has not started, and 100% means the task is fully complete. Phase % complete is an estimate and not calculated with reference to task completion. You will need to apply your own rules to assess the Phase % complete. Completion (days) – This is the duration of the event x %Complete. A task that lasts 10 days and is 50% complete will have completion of 5 days (= 10 days x 50%). Height – The height value is important because it determines how high or low the event is displayed in the timeline chart. You can set any height values you want, but it’s a good idea to stick to small numbers near to zero. I used numbers between +25 and -25. If the height is +ve the event shows above the X-axis. If the height is -ve the event shows below the X-axis. It’s time to insert a chart to visualize the project event data you created in Step 2. I used an XY scatter chart as it allows us to be flexible with the position of data points on both X-axis and Y-axis. If you require detailed step-by-step instructions, watch my video from 2 min 33 sec (Step 3). So we have created a scatter chart with one data series called “Duration”. And at the moment it only shows the start date with a green diamond marker. Change the title of the chart by double clicking the textbox – enter something like “Project Timeline”. We’ll add the actual event durations in days in step 5 “The Error Bars” by adding horizontal X-error bars, but first we should clean up the chart formatting. Y-axis – Hide the vertical Y-axis because it does not add any information to this chart. Horizontal guidelines – Hide the horizontal guidelines because they do not add any information to this chart. Legend – Get rid of the default chart legend because we will replace it with something that looks better in step 10 “The Chart Legends”. I also chose to display Data labels and position them left of the data points. In Excel 2010 a nice way to do all the above is to use the Chart Tools menu. Many of you will be familiar with changing these options so you won’t need any further guidance. But if you want further instructions just watch my video from 5 min 39 sec (Step 4), and I take you through each step I used to clean up the chart formatting with the Chart Tools menu in Excel 2010. Changing the text for every event label on the timeline is quite tricky and time-consuming. 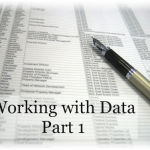 This is because you need to select each and every label in the data series, then relabel it. You can watch me to this in my video from 6 min 47 sec to 8 min 42 sec. In the video I sped up the process x4 times, so if you are doing this at normal speed it would take longer. Click on an Event label, to select the labels for the whole data series. Don’t click on the green diamonds because that selects the data points. Click on the Event label again, to edit just that one single label. Press the = key, or click in the Formula Bar. Either type in the cell reference for the Event label, or click on the cell with the Event label. Repeat the first 4 steps for the rest of the Event labels. 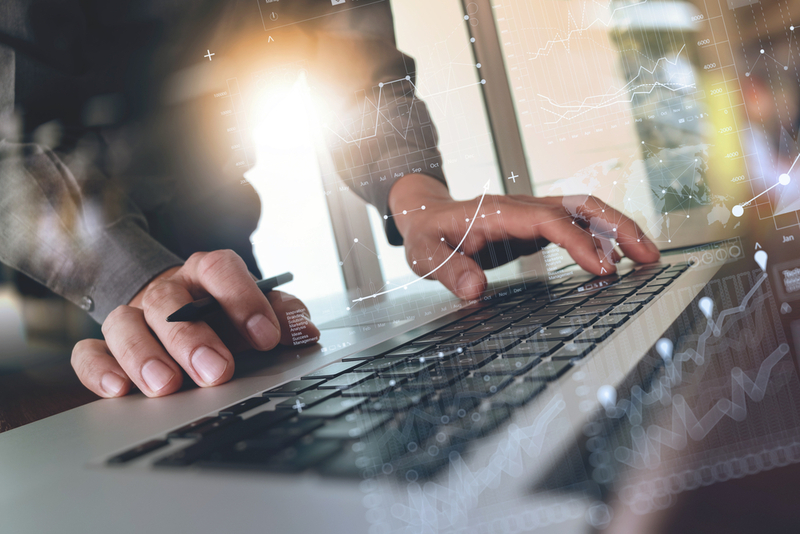 If you find this step too difficult or cumbersome, you could use VBA to make it faster – and I revisit this idea in my followup article (click here). I also decided at this stage that it would be useful to freeze panes at row 28. Doing this keeps rows 1 – 27 in view, while limiting the scroll area to rows 28 and below. This means we’ll always be able to see the timeline chart. This adds a black horizontal line above row 28, and everything above the line is frozen. The scroll bar will only move what’s below the line. After step 5, your scatter chart will start to look like a timeline as we add grey bars to show how long each event takes. Back on the Current Selection group, make sure the Series “Duration” X Error Bars is selected. Excel may bring up the Y Error Bars instead, but we want the X Error Bars for this step. Click on Line Color. Change the line color to Solid Line, and choose a gray color. Click on Line Style. Change the width to 4pt. OK, we now have gray duration bars extending to the right of our diamond markers. Let’s add blue drop lines from the markers down to the timeline. This helps you to see the start date for each event on the timeline. Click on Line Color. Change the line color to Solid Line, and choose a blue color. Click on Line Style. Change the width to 2pt and select a dash type. If you require detailed step-by-step instructions, watch my video from 9 min 51 sec (Step 5). 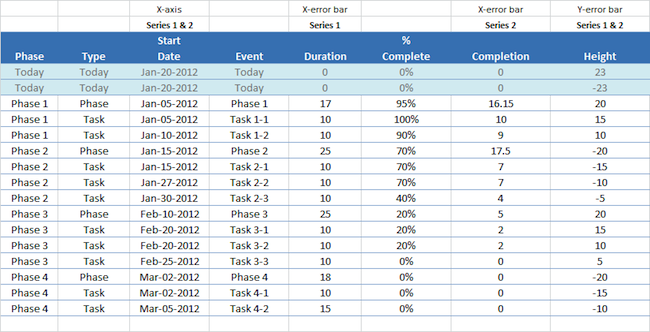 In step 6 we add another data series to the chart to show task completion estimates. These are calculated as a percentage of the task or phase duration. If a task takes 10 days to complete and is 50% complete, the completion bar should show 5 days done, with 5 days remaining. This completion bar is a visual aid and does not take into account weekends and public holidays. In this tutorial I added the Series “Completion” after the Series “Duration”, so Excel automatically makes it appear on the top layer of the chart. You can see the Series “Completion” with its red markers in the above screenshot. If you require detailed step-by-step instructions, watch my video from 13 min 37 sec (Step 6). In step 7 we format the Series “Completion” so it looks like the Series “Duration”, with green diamond markers (size 10 pts). If you require detailed step-by-step instructions, watch my video from 14 min 55 sec (Step 7). In step 8 we add X Error Bars to the Series “Completion”. Y Error Bars are not needed because the start dates are the same. After we complete this step we have horizontal green Completion bars for those tasks that are partially or fully complete. I decided to set the width of the green Completion bars at 7 pts wide compared to the gray Duration bars which are 4 pts wide. If you require detailed step-by-step instructions, watch my video from 15 min 53 sec (Step 8). In my template I used a fixed date for today’s date. This is to make sure when you open the template in a couple of months (or years) the today line will still be in the right time frame, and not months (or years) after the events on the project timeline. The first two lines of our data table are reserved for the today line (one for the part above the axis and one for the part below the axis). The formulas in cells C31 and C32 point to cell B2, so if you update B2 the today line will automatically move. The = TODAY() formula will automatically use today’s date, as long as you have automatic calculation on. Or you can press F9 to force Excel to do a re-calculation of the worksheet. In step 4 we removed the chart legend, and in step 10 we are going to add our own chart legend. We’ll use text boxes to add our own chart legend. This means that whatever is in cell E30 will show up in the textbox. Now create another textbox for the Series “Completion” and link it to cell G30. Hey presto – you now have your custom chart legend. You could stick to the default chart legend, but I like using text boxes because they are easier to reformat and reposition than the standard Excel chart legend. If you require detailed step-by-step instructions, watch my video from 21 min 41 sec (Step 10). If you want the timeline template now instead of following the instructions to create your own, please visit the the purchase page here. P.S. I have a followup Timeline article in the pipeline, and will cover some further ideas for extending the timeline template. Make sure you check it out – I will link to it once it’s published. UPDATE (6-Feb-2012) – I have published my followup article, read it here. This is great info on how to set up a project timeline. Thank you for sharing this information and for your insights. James, thanks for the feedback – hope you enjoyed downloading and using the template. Hi, I have problems with adding more objects than there is room for on the rows. How do I extend the cell 46 limit? To add more tasks and phases I recommend that you insert new rows above row 46. If you simply add new rows after 46 then the chart Data ranges need to be adjusted for each of the series (Duration, Completion, Today, At Risk) – much easier to get Excel to automatically expand the Data ranges for you by insert new rows above row 46. To insert a new row, right click on row 46 and then select “Insert”. To insert 10 new rows, select rows 46 to 55 then right click on one of the highlighted rows and select “Insert”. Once you add new rows you should copy the formulas from an existing row. Then you can update the new rows to your desired values. This looks amazing. You’ve done a lot of work here and it shows! Thank you for sharing so generously. I’m fairly new to project management and looking for a starter tool that I can start simple with, but can grow as my needs grow. One thing that concerns me is the question of what question to ask. Like, what am I missing? What would a dedicated project management program give me that might be very important to me? I need to get something together by next week, and it would be good for others to be able to import it into MS Project, (I think this should do that, yes?). Thanks again for sharing so generously! Thanks for the great feedback on the free Launch Excel Timeline Template. • MS Excel is great for a quick and cheap solution to projects that are relatively simple. The downloadable timeline I present above is fine for some purposes, and you can quickly tweak the layout to suit your organisation’s requirements. 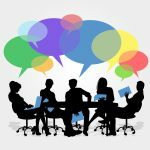 There are probably several other key points which make MS Project superior for managing complex projects – and I’d welcome comments and feedback from others who are more experienced than myself. I’m on a Mac and I’m considering Merlin. It’s got very good reviews, but it’s a couple hundred bucks, so I hesitate. I’m going to start with pen and paper just as you suggest and see where that leads. That’s really a good work. I have question regarding How to represent a task which is on hold and stared now in “AtRisk” Seried. ex : Task1 started on Nov’2011 and completed 30% and its in hold. Again task May start from June’2012. Thanks for the question. If you want to put a task on hold you can do this by adding a new series similar to the “At Risk” series. In the screenshot below I added a new series called “On Hold” and formatted the X-error bar to be blue, with end points of a circle and arrow. The original task length is extended so that it reaches beyond the length of the “On Hold” bar, which is why the grey bar in the background is longer than the blue “On Hold” portion. If you need any further help we’ll discuss over email. P.S. If you need to contact me by email, head over to the about page and scroll down to the Contact Form. A good learning site. Can we show two different calendar dates eg.Gregorian & Jewish Calendas on x-axis? Hi Mazhar thanks for your comment and good question. Yes I reckon it’s possible to show 2 different calendar dates on the x-axis. Possible but very fiddly! Excel allows a secondary X-axis only if there is already a series plotted on a secondary Y-axis. And it allows a secondary Y-axis only if there are at least two series on the chart. P.S. I originally listed a link to a forum post on MrExcel.com but Google blacklisted MrExcel as containing Malware (odd!) and I have removed the link just to be safe. Thank you so much for sharing your work. With your template and my lack of excel knowledge it is now possible for me to set up our timeline. The goal in my chart is to make sure we are not taking on too many projects that start/complete overlap each other. The risk would be two or more projects that will if awarded the project overlap with other work already committed to. How do I change my “AT RISK” to alert me when more than two projects fall anywhere within the same time frame of start/completion dates vs at risk to be completed on time? Thanks for your question about how to automatically show which projects overlap using something similar to the “AT RISK’ series. My short answer is that the functionality you’re looking for is beyond my simple template. My suggestion would be to visually line up the projects so that those with similar start and end dates are close to each other, and then use your visual judgement to figure out which projects overlap. I tried working on a set of formulas to build up the desired “overlap” feature but realised that even if I got the formulas to work they’d be difficult to troubleshoot if they broke. Much easier and probably safer in this case to rely on visual perception which is pretty powerful. I know that’s probably not what you hoped for, so if another reader has some bright ideas we’d all be happy to hear from you! Great timeline. The best I found. I was able to create a timeline from scratch using your step by step instructions in Excel 2007. However, I am experiencing one problem. Whenever I save the Excel spreadsheet and then reopen it, the X axis lines disappear. Checking further, the error bar line color is reset to No Line. Both the Duration and Completion lines disappear. The data points are still visible. I displayed the lines and then saved the spreadsheet as many as 10 times with the same result. Any suggestions on how to fix this problem? Hi Greg. I’ve not come across that problem before, where the XY scatter chart X-axis error bar disappears after a save due to the error bar line color being reset to No Line. I’ll send you an email so we can try to sort out your issue. It would help if you can send me a copy of your Timeline file (without any confidential information). If anyone else has come across this problem and thinks they know the answer please feel free to comment. OK – Just want to post an update on the issue where X-error bars disappear after saving the spreadsheet. It looks like saving as .xls file (2003 compatible) causes this problem. So you must save the timeline spreadsheet as .xlsx file (2007+ compatible) and the X-error bars do not disappear. Victor, how come when I extend my project milestones start date into 2013 i lose all my format on my timeline. I enter the timeline of Jan 4 2013 and all start dates move to one side of the chart. With the current template you will probably have to create 2 or more timeline charts to separate out the 2012 and 2013 tasks/milestones, or you could manually change the X-axis max/min values to show a narrower date range i.e. zoom in. Thank you ill review and get back with my comments but seems great at first appearance. Victor. First of all thanks for a great instruction by far the best I was able to find. Although I have one question is it possible to replace duration with exact date. Lets say my task starts at 1st of Jan and ends at 4th of Feb instead of me writing the exact amount of days would it be possible to just write the day that the task is ending? John – thanks for the compliment about this being the best instruction you can find. I make every effort to keep an open mind about how to explain stuff so it’s easy to understand. To answer your question, is it possible to replace duration with end date? Yes, you can do this by adding an extra column to the left of “Duration” and call it “End Date”, and enter the exact end dates in the new column. Then replace the “Duration” column with the calculation “= End Date – Start Date” to give the number of days duration (replace the ‘End date’ and ‘Start date’ with the actual cell references). Great template. However, when I try to insert new rows to extend the chart past row 46, the event column text is not ploted, instead the numeric value of the row height (row h) is what shows. Can you please tell me how to fix this? Thanks! Hi Craig – thanks for your comment. I’d advise inserting rows above row 46, you will still need to manually update the event column text (see step 4) but the data range for the chart should expand. If you add rows below row 46, you need to specify to Excel that the chart data extends below row 46. Currently my template does not automatically update the event labels if you change the text in the event column. How many people would be interested in a more sophisticated version of this template? Let me know by posting a comment and if there is enough demand, I will arrange for some extra features to be added to make this even more useful! P.S. I am currently travelling abroad and will not be able to answer your comments for a couple of weeks. If you have a specific feature request for the timeline template please leave me a comment and I will definitely read every single comment when I’m back. How do you get the X-axis dates to automatically adjust on the chart. For instance when I start my project on 12/21/12, the x-axis still shows 11/3/11 as the first date? If you format the X-axis and look in Axis options, you should be able to set the minimum and maximum to update automatically. Alternatively you can manually choose a “Fixed” number for the min and max, but bear in mind that this is represented by a number rather than a date. To figure out what number you should use, go to a blank cell in Excel and enter your desired date. Then change the format to general number format. The number you see is the one you need. Hi, Thank you! your instructions have been a great help to me. I am experiencing one problem however. 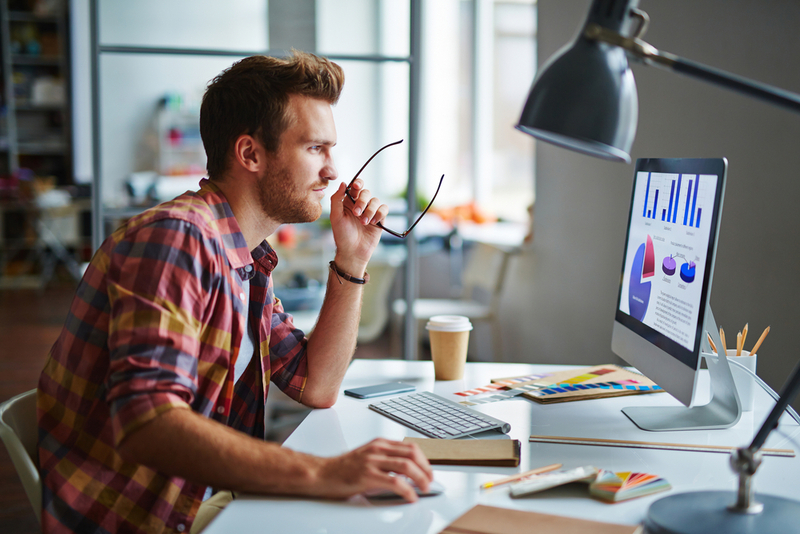 Your issue does come up when trying to modify an existing chart, with ‘data range is too complex to be displayed’ being Excel’s standard response to a slightly complex range. I emailed separately asking if you’d like me to take a look at your timeline chart. P.S. I’ve been in contact with an Excel developer who is writing Timeline functionality into his Excel Gantt chart software (currently available for ~$30) and when I’ve tested this out I plan to write a review and link to his website. That software is automated, so it should eliminate some of the trouble you get with changing chart series and adding new data. This was developed as a standalone Excel tool, written using VBA (Visual Basic for Applications). There is a 30 free trial so I suggest you give it a go. Feel free to post any feedback here. hi thank you for this helpful tool. I am trying to adapt it to display grant amounts ($ values) of projects over time. So for example a project that has started in May 2010 and ended in May 2011 worth 1 million USD. I have about 40 projects overall that I want to display over a 3 year time span however, because the duration is counted in days I am having to input number of days instead of months so there is a larger error margin as some months are shorter than others (I know only a day except for February) but is there a way to have the duration be expressed in months instead of days? Thank you so much for your help! You can have a look at using the EDATE() function. In versions prior to Excel 2007, this function was only available when the Analysis ToolPak add-in is installed, but if you have 2007 or higher then you can use the EDATE() function straight off. Name the second column you added: “EDate” or something similar for the End Date. In “Duration (months)” specify the number of months that each project lasts. The timeline chart does not appear with the download. Also, I think the description of the Completion (days) column should include Duration – (Duration x % Complete). Could I get a working and editable copy that includes the 5 bonus ideas? The Completion (days) column shows the actual portion that has been done, so I have described the column as Duration x %Complete. For instance a task that lasts 10 days and is 10% complete would evaluate to Completion of 10 days x 10% = 1 day. Duration – (Duration x %Complete) would give 9 days, or the portion left to be done. So I think the current description works ok. I don’t have a copy of the Timeline that implements the 5 bonus ideas. I presented those ideas as food for thought, or avenues for further exploration. Bonus Idea 2 is very simple to do, simply add another column for milestones and add a new series to the chart, then format the series markers into diamond shapes (select the series then press CTRL + 1 to bring up the format dialog box). Of course, you are right. I thought you meant Completion = days remaining. Thank you very much for the file. I am subscribing, and purchasing Power Tips after submitting this comment. Hi Michael – thanks for your comment and link to your very interesting Gantt Chart article. 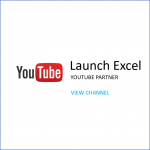 I’m sure many Launch Excel readers will find it educational and useful – go check out Michael’s articles on Project Planning with Excel if you haven’t already done so! Fantastic template, thank you so much! Victor, I’m not very good with Excel. How do I add an extra task to an existing phase? when I do by inserting a line between tasks, the chart above gets all mad at me and I don’t know how to update it. It starts giving me errors about formulas, etc. 1. Select an existing row. Select the entire row by clicking in the far left row number… this will auto-select ALL columns in that row. This will ensure that the entire row along with all functions are copied. You should see the new row looking just as pretty as the others. One note – when choosing a row to copy, I don’t like to select the Top or the Bottom row because of the formatting. I suggest you check out Gantt Diva, which was created by Walter Kinio to automate the process of making Gantt Charts in Excel. He recently added Timeline functionality to Gantt Diva, and this looks like it will make your life easier than manually editing for extra tasks in my template (which is time consuming). Gantt Diva was developed as a standalone Excel tool, and it has very thorough documentation. There is also a 30 day trial, though when I last checked a full license to use Gantt Diva was only US$29, great value in my opinion! This is amazing. I ca’t wait to finally get the template.